See below for our upcoming events for Academic Year 2018 – 2019! 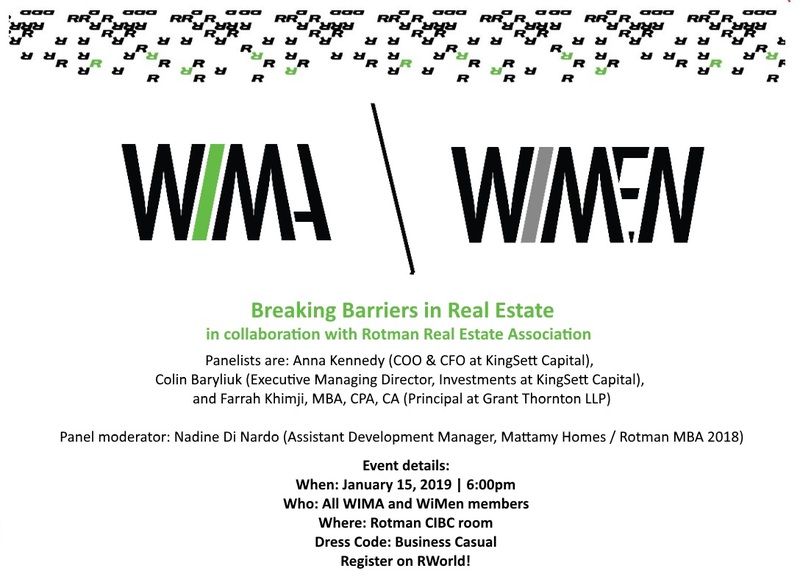 WIMA is hosting the 3rd Annual Canadian Women in Management Conference, which will run February 12-13, 2019. 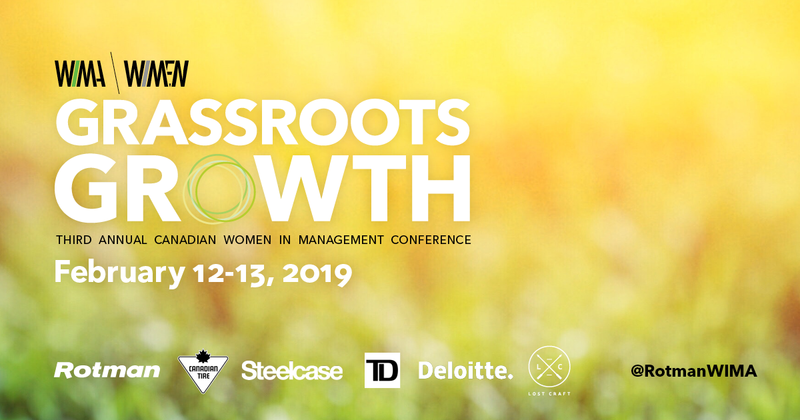 The conference aims to champion the role of women in the workplace, with an emphasis on our theme of Grassroots Growth, a focus on tangible actions that people can take every day to drive change for gender equality. 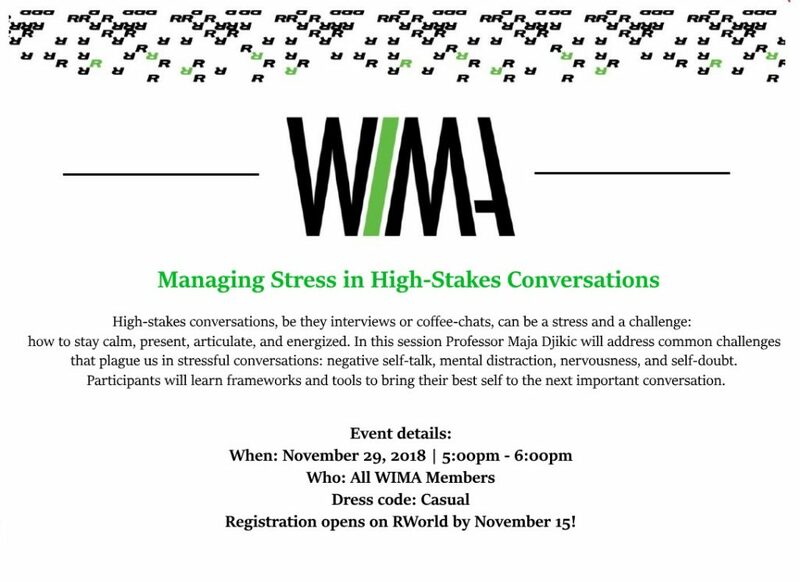 Students, alumni, and industry professionals of all genders are invited to attend and participate in a series of workshops, presentations, and networking activities. 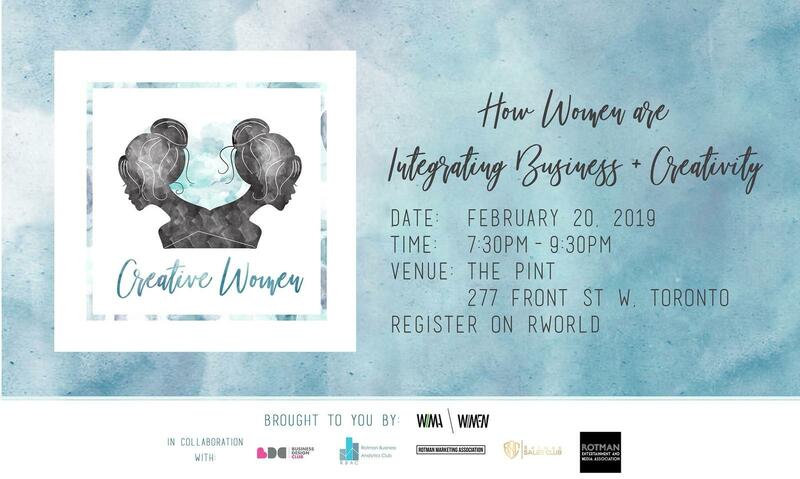 Creative Women is a panel discussion and networking event with industry professionals interested in exploring the intersection of creativity and business. We aim to create a dialogue about creativity in business and empower women to be influential in driving a creative mindset. 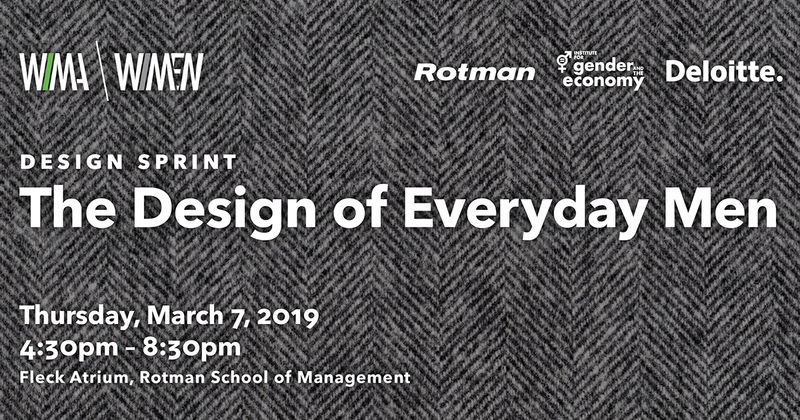 Open to all Rotman students! 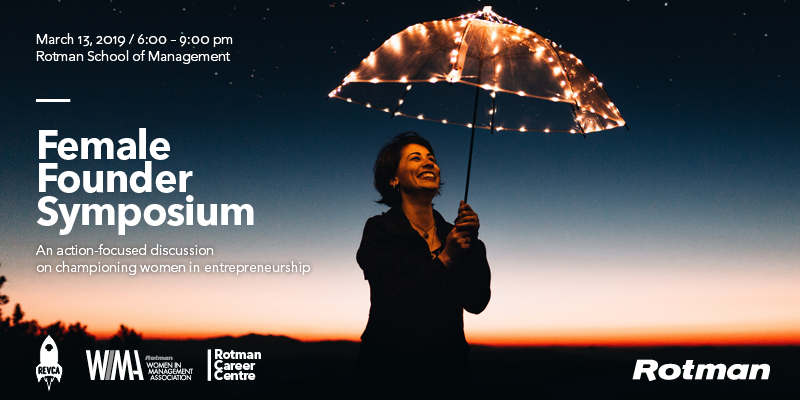 WIMA is collaborating with Rotman Entrepreneurship & Venture Capital Association (REVCA) and Rotman Career Centre invite you to the 2nd annual Female Founder Symposium: an action-focused discussion on championing women in entrepreneurship. The event includes a panel, fireside chats, and networking. 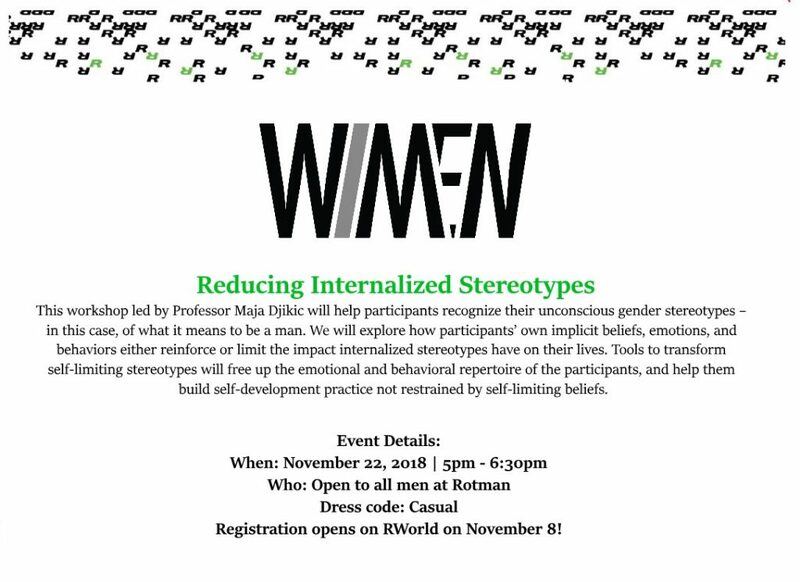 WIMA / WiMen members: register on RWorld! The event is free to join for members! 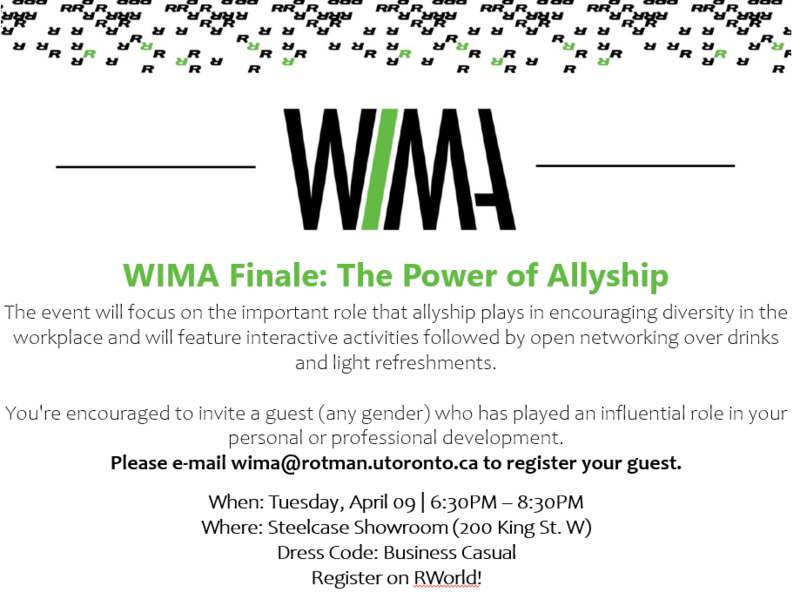 Come and celebrate a successful year for WIMA/WiMEN with the outgoing and incoming executive team, WIMA/WiMEN members, and industry partners.